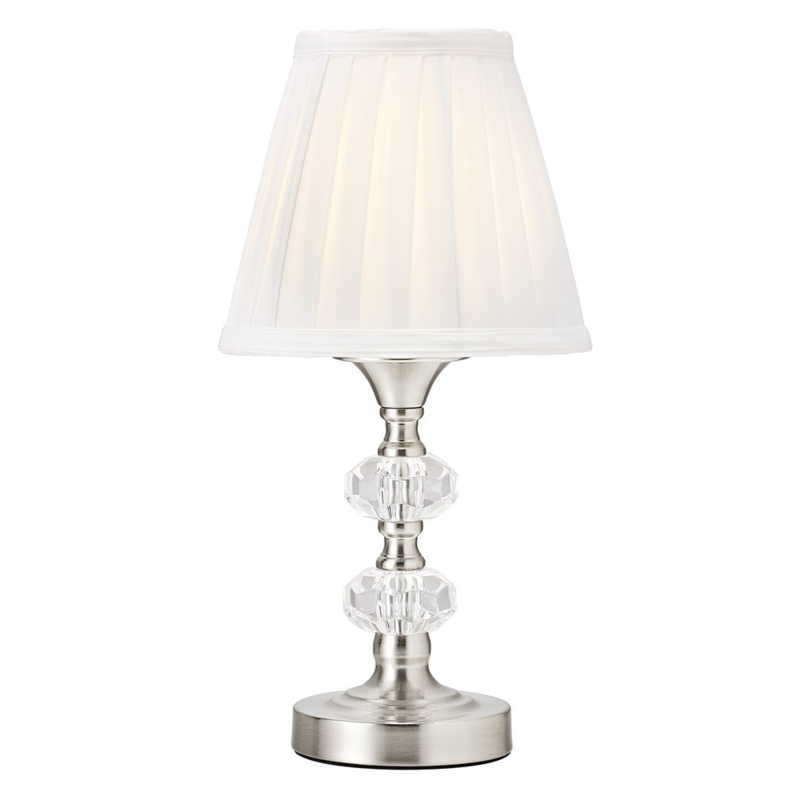 Contemporary petite touch dimmable table lamp complete with ribbed white fabric shade. Finished in brushed satin chrome with transparent glass moulds. Three different light levels operated by simply touching the base of lamp. Please only use light bulbs which are dimmable - LED bulbs are not suitable for this lamp. Requires 1 x 40watt SES (E14) bulb - not included. Complete with 1 year electrical warranty. Total product dimensions are as follows: Height: 36cm, Diameter: 17cm.